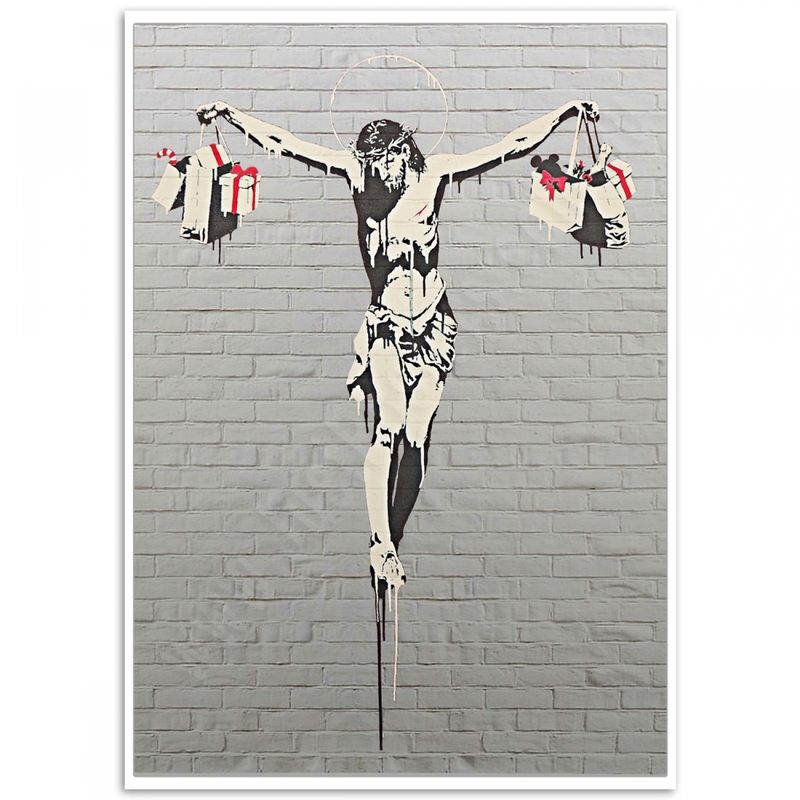 The global spread of Consumerism, a reoccurring Banksy theme. 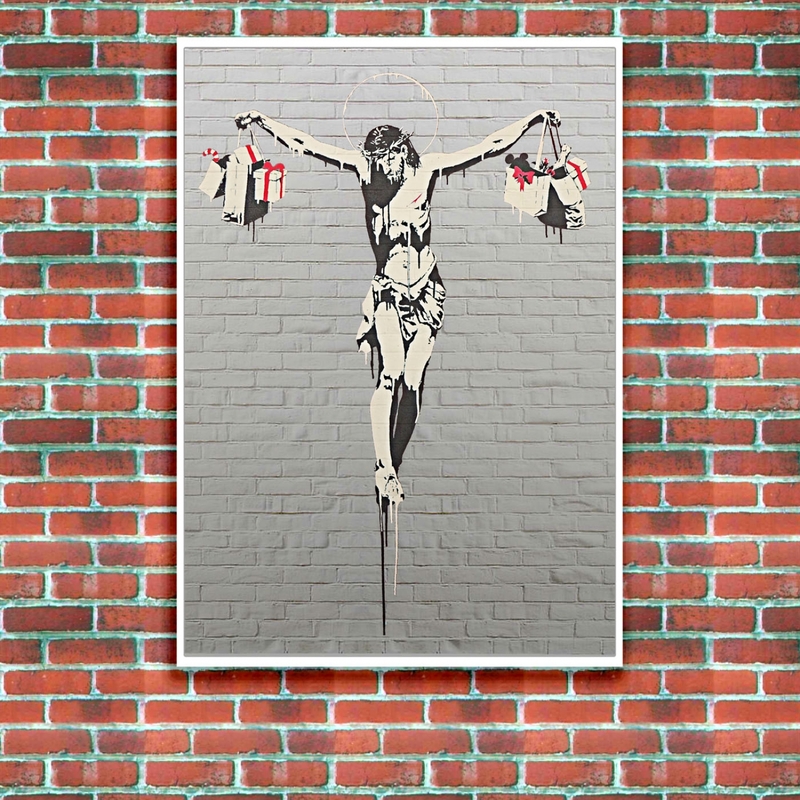 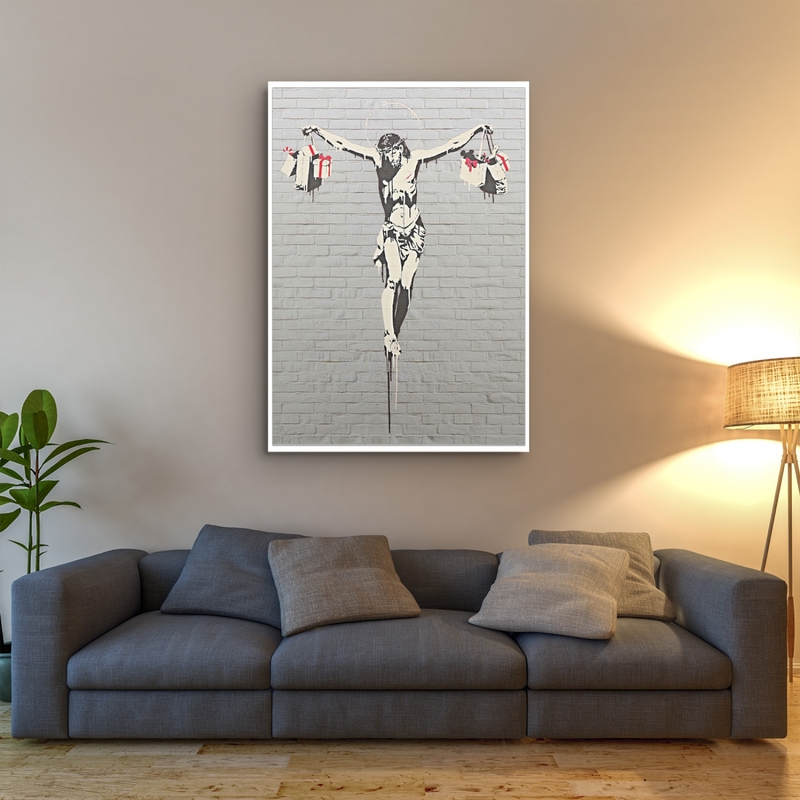 The "Banksy, Consumer Jesus" poster was created from an original photograph. 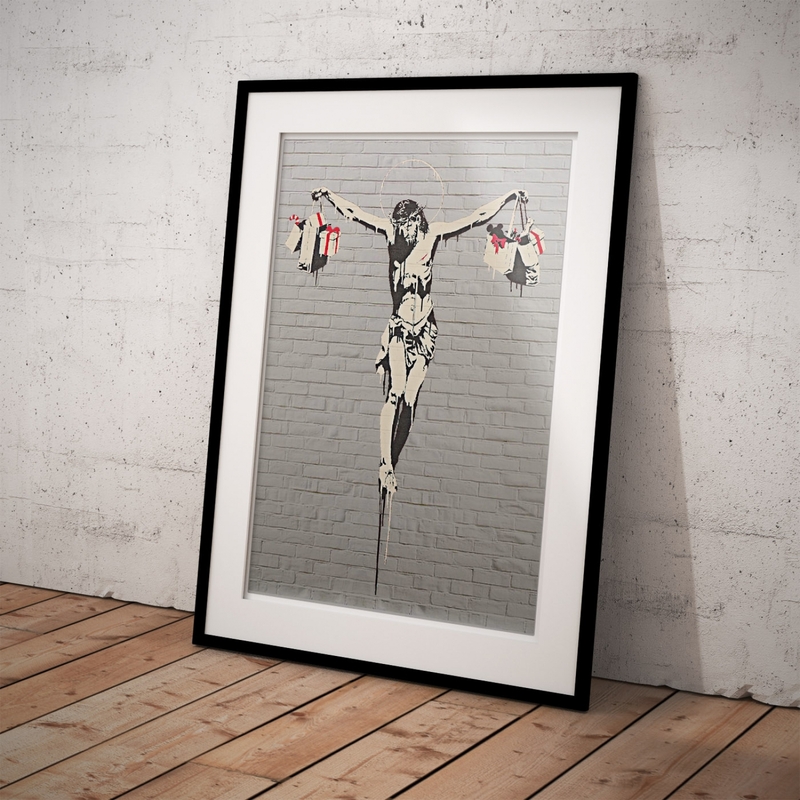 Consumer Jesus Shopping - Street Art Poster Banksy telling it as it is. 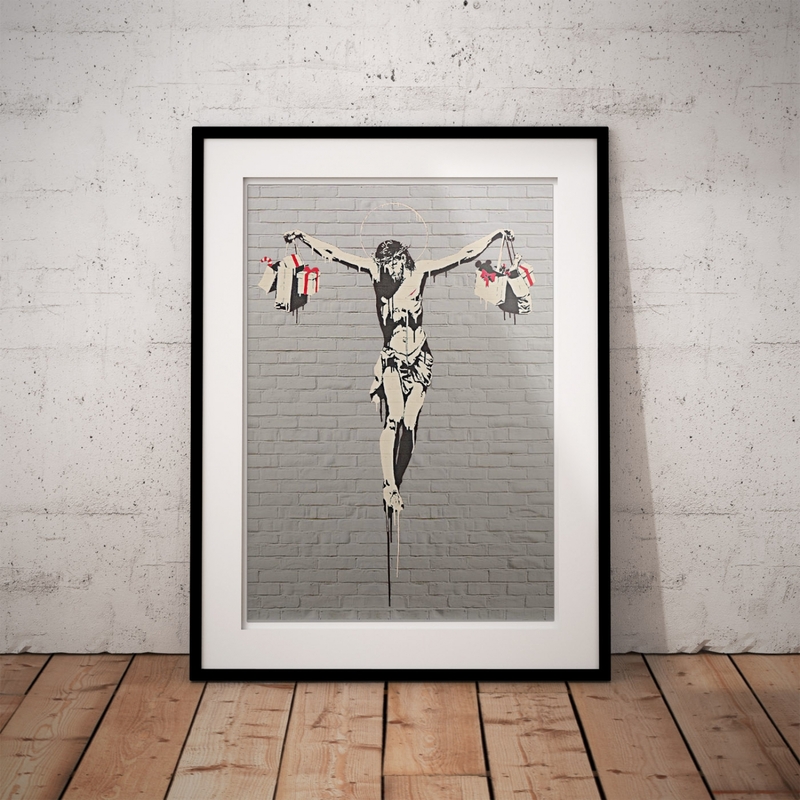 Christ crucified and holdi..